In just a few short days, KAWS will present a new exhibition in France at the Galerie Emmanuel Perrotin, titled Pay Debt to Nature. 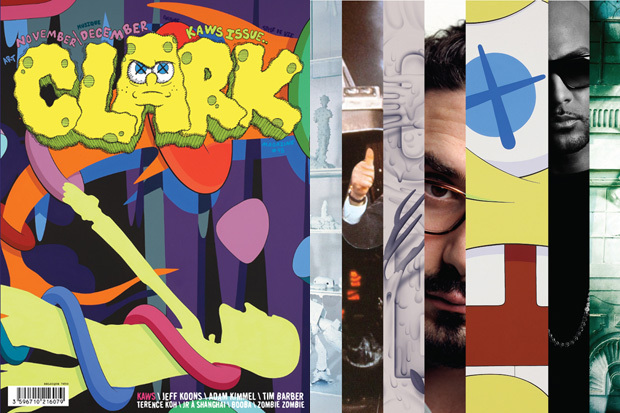 In association with Clark Magazine, KAWS is the feature artist for issue 45 of the French magazine as it ties everything together. Within the pages you’ll find features involving Jose Parla, Terrence Koh, Tim Barber, Dimitri Coste, Adam Kimmel and JR among others. The KAWS x Clark Magazine Issue 45 will be available on the same day as the “Pay Debt to Nature” opening on November 6th.